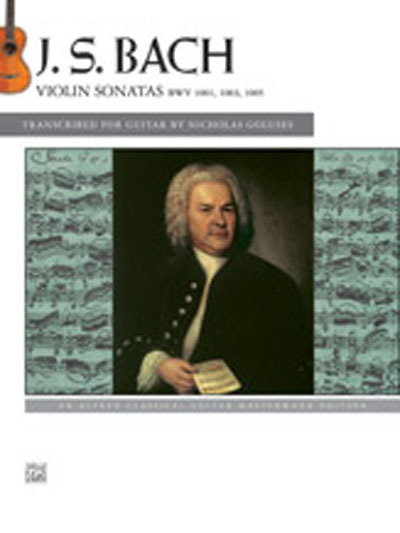 This edition of J. S. Bach's masterpieces for solo violin, artfully transcribed for classical guitar by renowned performer, recording artist, and pedagogue Nicholas Goluses, is an essential addition to any classical guitarist's library. Including a thoughtful, scholarly preface on the art of transcribing Bach for the guitar, drawn from Goluses' doctoral dissertation, studying this edition will be edifying for any serious classical guitarist. Goluses' approach to putting these pieces on the guitar, and his thoughtful fingerings, will help overcome the complexities of playing this important and challenging music.